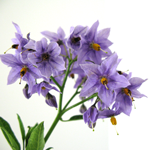 Solanum Laxum has clusters of blue flowers from the beginning of Summer until to Mid Autumn. 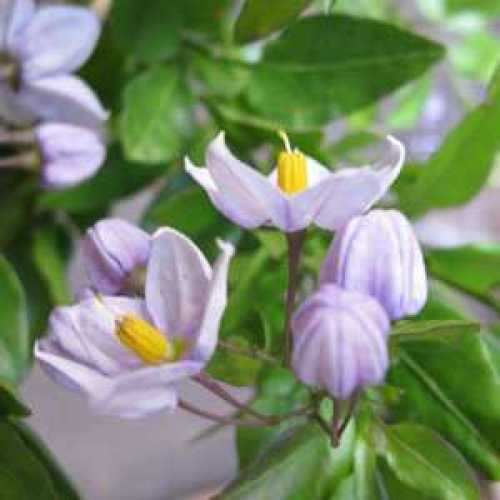 It is a vigourous Twiner with glossy dark green foliage. Perfect for training on walls, arches, pillars and clambering through old trees.